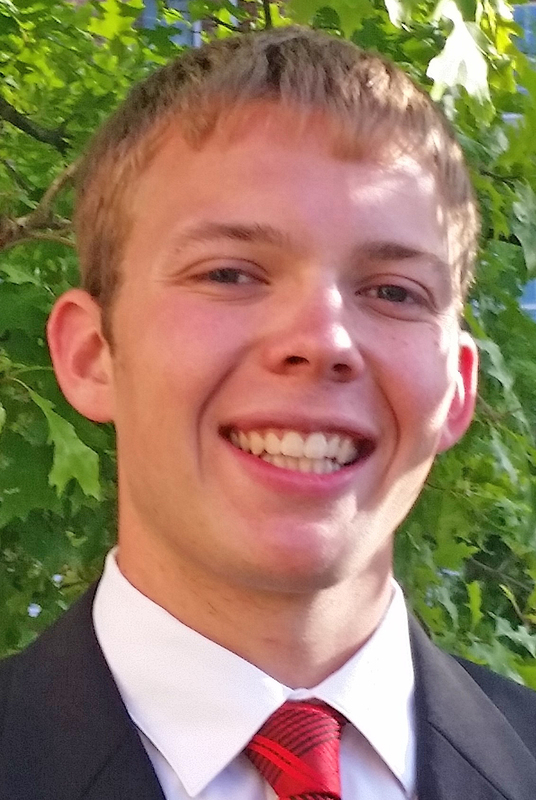 Andrew Morgan of Fowler, Ohio, a senior at Youngstown State University, has been selected to receive a scholarship from Tau Beta Pi engineering honor society. Morgan, the son of Scott and Helen Morgan, will receive a cash award of $2,000 for his senior year of study at YSU. He is majoring in Electrical Engineering (Computer Digital Option) and Computer Science, with a minor in Mathematics. A graduate of Mathews High School in Vienna, Ohio, Morgan plans to graduate from YSU in May 2017. He also was named a Goldwater Scholar this year and is a member of Phi Kappa Phi Honor Society and the Pi Mu Epsilon National Math Honor Society. He is active in YSU Student Government, Academic Senate and YSU Honors College and is a first-year engineering teaching assistant. Tau Beta Pi Scholarships are awarded on a competitive basis of high scholarship, campus leadership and service, and promise of future contributions to the engineering profession. Tau Beta Pi is the world’s largest engineering society.